The Southeastern Conference will implement the use of a visible television timeout countdown clock on the field at all 14 SEC on-campus football venues for the 2018 season the conference announced on Tuesday. The on-field display will allow fans, game officials and both teams to view the remaining time during each television commercial stoppage from anywhere in the stadium. 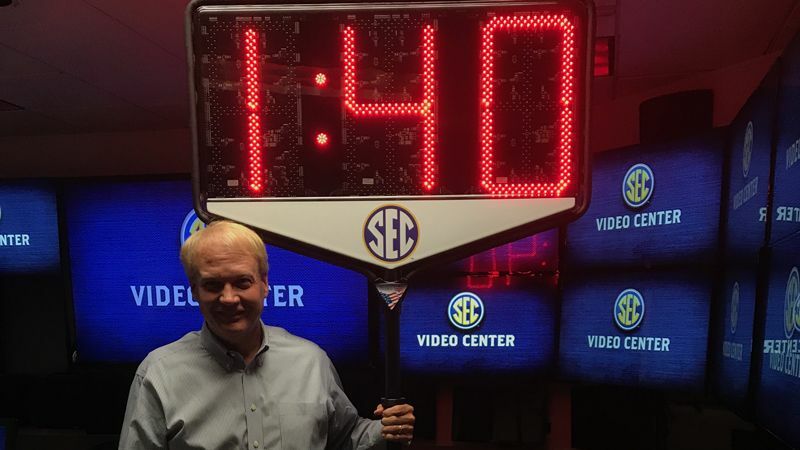 The SEC worked with Victory Game Clocks to develop the TV timeout countdown clock for the upcoming football season. The countdown clock is a variation of the company’s eDown digital product currently utilized at several SEC schools, the SEC Football Championship Game, and a number of bowl games. Both projects are a by-product of the Auburn University Economic Development Administration (EDA) program, where prototypes and final design were completed by a group of 16 Auburn students in the program.